Telemedicine is changing the way healthcare services are being delivered and improving patients’ access to quality health professionals. Innovations in telemedicine leverage RPL is experienced in protecting telemedicine IP including telecommunication systems, IT, including systems leveraging big data and machine learning. to connect patients in doctors, as well as leveraging big data and machine learning to assist the medical professionals in more efficiently and effectively caring for their patients. As a result, not only is telemedicine improving patient outcomes in rural areas, it is also improving response time in critical care and other emergency situations. Telemedicine patents span software-based and hardware-based subject matter, are often a combination of both. Patrick’s first patents in the telemedicine space date back more than a decade and he has consistently worked in the space since that time. Working with a patent attorney that has experience in the telemedicine field can help you quickly focus on the key protectable innovations and help you find the best strategies for patenting your inventions. Patent searching can be useful to help you assess both the likelihood of securing patent protection (through a patentability searching opinion) and to help you assess the likelihood of infringing existing patents (through a freedom to operate search and opinion). If patentable, utility patents are most often used to patent telemedicine inventions. Working with a patent attorney that has experience with telemedicine technology can help you quickly focus on the key protectable innovations you have developed and the best strategies for patenting those products. 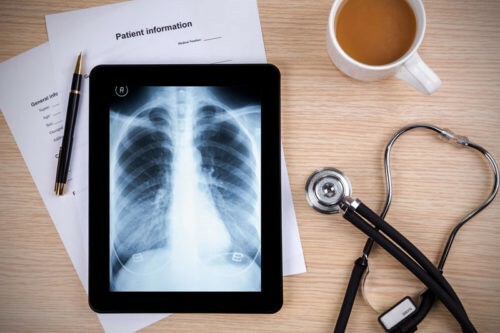 Trade secrets can play a significant role in telemedicine, particularly with respect to the algorithms used in collecting, analyzing, and learning from patient data. Any confidential aspects of your innovation that cannot be reverse engineered by your competition can be protected as trade secrets and the key is to simply keep your secrets secret. Non-disclosure agreements and confidentiality provisions are important tactics in establishing trade secrets. But it is also important to discuss your trade secret strategy with an experienced IP attorney that can help you distinguish between your patents and your trade secrets. As with any consumer-facing product, trademarks are important to your telemedicine IP portfolio. The products’ and services’ names are key to branding and marketing and are a potential infringement risk that must be managed. Trademark searching is an important tool to assess the infringement risk when bringing a telemedicine service or product to market and to ensure the marks you use are distinct and not confusingly similar to other names in the space so it may be registered as a trademark itself. It is important to address the trademark issues early in the process, so do not wait to reach out to start planning your trademark strategy. RPL’s attorneys have a strong background in telemedicine IP protection. RPL’s managing attorney, Patrick Richards has more than a decade’s experience in the telemedicine space, particularly with telemedicine patents. In addition, Patrick is a co-founder and chief strategy officer of Resonance Medical, LLC, a health-tech company developing software for neuromodulation and other sensory enhancing devices, including products that leverage the benefits of telemedicine.